The Atlanta-Sandy Springs-Roswell, GA Metro Area is anchored by the city of Atlanta, the capital of Georgia. It's often noted that immigrants founded the United States. In the past twenty plus years, immigrants have reshaped the demographic makeup of Atlanta. Home to every ethno-linguistic affinity in the world, Atlanta would not be an international city without immigrants. 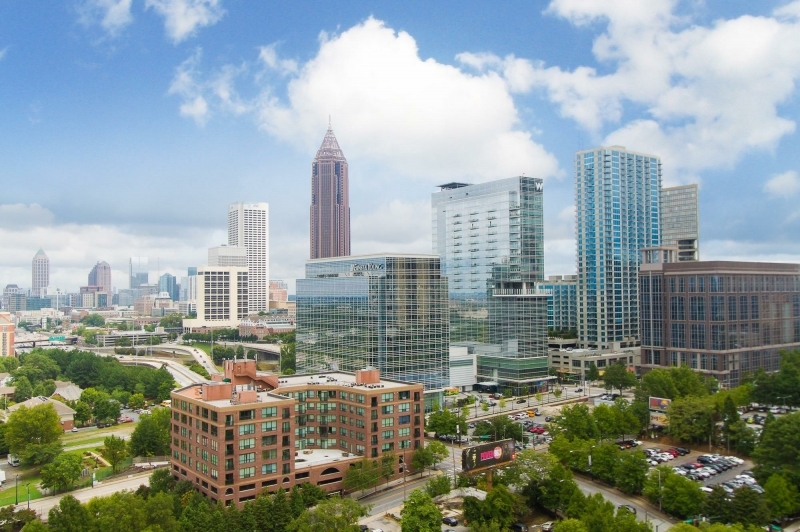 According the City of Atlanta government page, "The city of Atlanta has the 2nd fastest growing foreign-born population among the nation's 20 largest metropolitan areas, and Atlanta's immigrant population is higher than the national average of 13%. Through the Welcoming Atlanta Initiative, Atlanta seeks to create a more welcoming environment and a more inclusive, immigrant-friendly community." ( City of Atlanta - Sept 14, 2014). Click the following button to learn more about Atlanta Send City. Home of the 3rd largest Korean population in the United States. Home to the Global Mall, the first South Asian Indian Mall in the United States, a 220,000-square-foot mall that caters to the needs of the greater Atlanta South Indian community, a community of over 100,000. Home to BAPS Shri Swaminarayan Mandir, a 32,000 square foot Hindu Temple, and the largest of its kind outside of India. Home to over 9,000 Bhutanese people. Read more about ... Bhutanese in the United States. 1965 was the start of Atlanta's immigrant growth, led by the resettling of Cuban refugees. Other refugee resettlements include ... Romanian, Moldovan, Russian Jews, Vietnamese, Khmer (Cambodian), Bhutanese, Lao. In the past 10 years over one million people have immigrated to Atlanta from all over the world. 25 percent of Gwinnett County's population — enough people to fill almost three Georgia Domes — was born in another country. New York Times magazine called the Clarkston area the most diverse square mile in America. While Metro Atlanta is very much in the South, it's debatable whether it's really "of" the South. Certainly traditional Southern cultures, white and black, are part of the fabric, but they're very much becoming the background, not the main pattern. With migrants from all over the United States and the rest of the world, Atlanta is now a diverse city with a lot of different ethnic groups. In the last two decades, other ethnic and cultural groups have joined the mix in Atlanta, with large Korean, Chinese, Vietnamese, Spanish speakers, East Asian, Eastern European, and African communities growing and becoming more prominent. Northeastern Atlanta, the "international village" areas of Doraville and Chamblee, and Gwinnett County in particular are home to large and vibrant immigrant communities, along with Clarkston, home to refugees during the past two decades. Immigrants are increasingly moving to the suburbs, making Atlanta neighborhoods ever changing in their diverse cultural and linguistic nature. Immigrant population continues to increase because of Atlanta's international airport, its educational institutions, and the metro area's flourishing economy. Displaying 1-25 of 59 results. Disclaimer!!! The following links do not constitute an endorsement or support for the mission organization and/or entity. Discover ways you can impact the USA and Canada. Global Frontier Missions Atlanta - based out of Clarkston in the metro area. The Southern Center for International Studies - increases American public awareness and understanding of other countries and international issues. Latin American Association - helps Latino individuals and families achieve their aspirations for academic, social and economic advancement. Atlanta Asian Culture and Arts Center - develops education, promotes Sino-US cultural exchanges, and creates a platform for the understanding and the development of multiculturalism for the Atlanta community. Asian American Legal Advocacy Center, Inc - protects and promotes the civil, social and economic rights of Asian Americans in Georgia and the Southeast through public policy, legal education, community organizing and leadership development. Asian/Pacific Council of Georgia - preserves and promotes the awareness, understanding and pride in our Asian Cultural Heritage within our communities and mainstream society through cultural activities and education. Forming community coalitions with other non-profits and public or private sectors to address local issues such as employment job training, and social advocacy. Atlanta Asian Film Festival - serves Atlanta to educate Atlanta community about the rich diversity of Asian Pacific culture through films and movies. Cambodian-American Association of Georgia - introduces mainstream American culture to Cambodian culture. Center for Pan Asian Community Service - promotes self-sufficiency and equity for immigrants, refugees, and the underprivileged through comprehensive health and social services, capacity building, and advocacy. Georgia Indo-American Chamber of Commerce - builds relationships that promote the sales of goods and services between India and the United States. Filipino-American Association of Greater Atlanta - promotes the union of Filipinos dedicated to the cultivation and promotion of our Filipino heritage. Japan American Society of Georgia - promotes mutual understanding between the people of Japan and the State of Georgia through establishing and promoting ties and programs in the areas of culture, customs, education, commerce and politics. Korean-American Coalition - Atlanta - facilitates the Korean-American community’s participation in civic, legislative, and community affairs, encouraging the community to contribute to and become an integral part of American society. Raksha, Inc. - includes people from Bangladesh, Bhutan, India, Nepal, Pakistan and Sri Lanka.